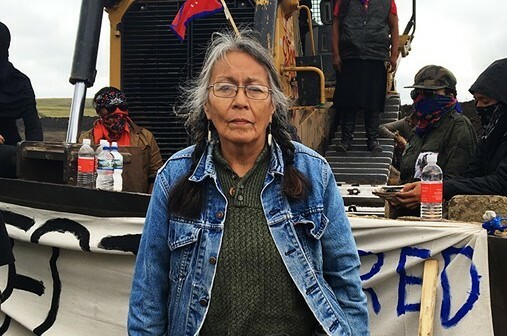 Protests by Native Americans in North Dakota, gathered in the movement called NoDAPL (No Access Dakota Pipeline), began in the spring of 2016 to prevent the construction of a pipeline by Energy Transfer Partners, whose route will cross the Missouri and Mississippi rivers, as well as part of Lake Oahe, near the Standing Rock Sioux Reservation. After a limited review of the route, the United States Army Corps of Engineers has ruled out a significant impact. At the same time, citing potential effects and lack of consultation with the native tribes, in April 2016, the Environmental Protection Agency, the Department of the Interior, and the Advisory Council on Historic Preservation asked with little success to the Corps of Engineers Army for a further evaluation. In fact, in July, the engineers have approved the water crossing permits. 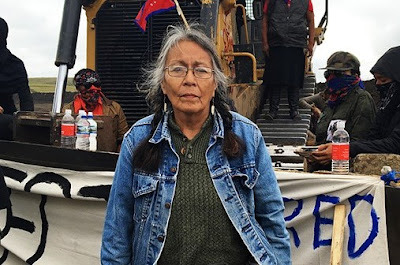 As a result, the protest was launched by an Sioux elder from Standing Rock and her grandchildren, decided to camp out in the pipeline route in defense of the land. They lied, they did for years about their wickedness, disguised as brave cowboys and charming gunslingers. Then something was leaked, but the passage was minimal. A very few have noticed, in fact, but the card game and the hand are always quick and successful. Because it never changes, nor the game, let alone the hand. Only the hate card does it. Such as fishing from sacrificial tarots, delete the Indian, here's the Japanese, then the then Red and the Black, getting to modern days, with the Islamic and, more than ever, the Stranger. We are almost all dead in the last century, sacrificed, primitive lambs to serve stars and stripes fable. Then I can help you, diffident man. They will win tomorrow and the day after. Just go out anywhere in the world who decides for all, lower your eyes and open wide your ears to feel disharmonious metal roars, pistons and fundamental optionals. So it will be until the last day, because the four ghosts generated by an incompatible dream with the human global suicide have never had a chance. This is the future, as the past. In the only time we have ever had. In defense of ourselves, we soar body weight and soul. For the love of dust and utopia, the only substance which we are made of, let us fight.